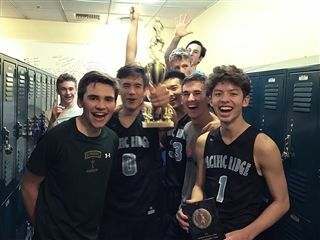 The break was full of excitement for the Boys Varsity Basketball team who visited the Bay Area on December 28 for the three-day Tom Welsh Holiday Tournament at Head-Royce in Oakland. They won two out of the three games in thrilling, come-from-behind style and Grant Mahler scored two game-winning 3-point shots, gaining him a coveted spot on the all-tournament team. Congratulations Firebirds!